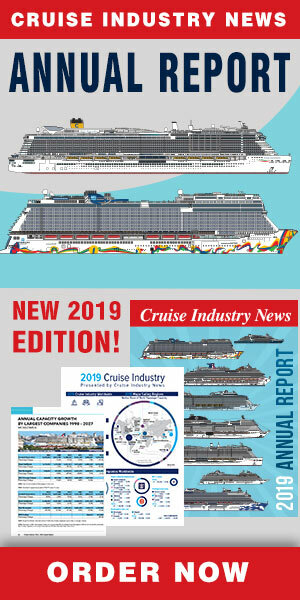 NYK Cruises has announced the Asuka II will sail a world cruise in 2020, departing on April 2, 2020 and returning on July 14 for a 103-day sailing roundtrip from Yokohama. The ship will first head to Southeast Asia, then sailing to India and through the Red Sea to the Mediterranean, before transiting to Northern Europe and up the coast of Norway. A northern trans-Atlantic crossing sees calls in Iceland and then on the U.S. East Coast, highlighted by New York. A Caribbean leg follows, before a Panama Canal transit and then a visit to San Francisco before crossing the Pacific on the way to Hawaii and back to Japan. The news follows a hiatus year as the company will not operate a world cruise in 2019, a year that is about "grand voyages" for the single-ship Japanese line. In February, a 33-day cruise will sail to Vietnam, Thailand, Singapore, Malaysia and Brunei. The voyage will include two guest chefs, serving Italian and French cuisine, in addition to more traditional offerings. The big news in the ship’s deployment for 2019 is the return to Alaska after 15 years.